Free from the shackles of a fixed line, mobile internet access can be used wherever there’s a mobile network signal. At Broadband Genie you’ll find all the latest offers, and we’ll explain exactly how mobile broadband works and how to choose the best value deal. 4G data plan Pocket size Mobile Wi-Fi router, connects up to 10 devices. No data costs for EE film content. Wi-Fi access on London Underground via Virgin Media plus 100MB of free EU roaming data. 4G data plan 4G router which plugs into a power socket. Ideal alternative to home broadband, connecting to EE's 4G network. No installation or line rental fee. Mobile broadband uses mobile networks to provide high speed internet access. It provides a lot more freedom than home broadband, so when equipped with a dongle and SIM card you can get online wherever there’s a signal. What are the advantages of mobile broadband? Portable: You’re not tethered to a line, mobile broadband works wherever there is signal. Fast: The latest 4G networks are faster than many home broadband connections. Flexible contracts: Mobile broadband is available with a variety of deals. As well as long 12-24 month contracts you’ll also find pay-as-you-go and rolling monthly packages. Reliant on good signal: the performance is heavily dependant on a strong and reliable mobile signal. Can be expensive: relatively small data limits mean that it can be expensive if you use it for lots of video streaming or large downloads. In order to use mobile broadband you need a device to access the mobile network (such as a mobile broadband dongle or tablet with mobile data support) and a SIM card. And of course you must be in an area with mobile signal. I already own a mobile broadband dongle - can I get a SIM only deal? There’s a wide choice of SIM only mobile broadband deals. But if the dongle you own is old it may not provide the best speeds, it might need to be network unlocked, and if it was purchased outside the UK it may not support the correct frequencies. Which is better - USB dongles or Wi-Fi dongles? There are two different types of mobile broadband dongles. USB dongles provide broadband to a single computer at a time. Wi-Fi dongles (also called pocket Wi-Fi and MiFi) allow the connection to be shared and will work with any device that supports wireless networking. We would recommend mobile Wi-Fi dongles as the best choice for most people as they're not limited to use with a laptop or desktop computer. Can I use an iPad or tablet with mobile broadband? The iPad and other tablets can be used with mobile broadband. There are two ways to do this: either with a Wi-Fi dongle, or by purchasing a tablet or iPad with built-in support for mobile broadband. If you already own a tablet it may support Wi-Fi only, in which case a Wi-Fi dongle is required. Which is the best mobile broadband network? It would be easier if we could point to one network as the best, but it’s not that simple. The best network for you is the one which offers the strongest signal in your area. If there’s more than one with good reception then you can look at other factors such as cost and data limit. But always start by checking coverage. How do I check mobile broadband network coverage? To find out about coverage use the official network coverage tools, which can be accessed by clicking the logos below. 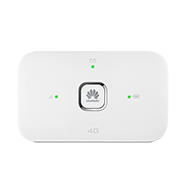 These will show what type of network is available (3G or 4G) and whether the signal is available indoors or outdoors only. Can I use mobile broadband outside the UK? Mobile broadband can work abroad, though some PAYG services may not allow it. You’ll also need to be wary of the cost. Within the EU roaming is free but in the rest of the world it can be very expensive. Use our mobile internet roaming tool to get an idea of prices in almost any location in the world. Is it possible to use mobile broadband instead of home broadband? Mobile broadband will work anywhere there’s signal, and with a mobile Wi-Fi dongle you can connect multiple users/devices at the same time. There’s nothing stopping you from using mobile internet in place of a fixed line home broadband service, except that it’s unsuited to anything but light use. Mobile broadband has very small data use limits compared to home internet, which is often unlimited, and exceeding the cap can be expensive (unlimited mobile data deals for dongles don't exist - some mobile contracts offer unlimited data but this is only for smartphones). To find out if it would be right for you, read our guide to using mobile broadband at home. There are now two different types of mobile broadband service available in the UK: 3G and 4G. These ‘G’ numbers denote the generation of mobile technology, giving a rough idea of the kind of speeds you can expect. 3G has been available in the UK since 2003 and provides reasonable data speeds. These are quoted as being able to deliver up to 7.2Mb, or up to 21Mb with an upgraded 3G network, but in reality can be relied on to deliver something between 3-8Mb - fine for browsing the web and other simple tasks, but you may struggle with streaming HD video. 4G launched in the UK in October 2012. It promises mobile data speeds to match or exceed home broadband services and in practice can meet this, but coverage is often limited to towns and cities right now. We would recommend 4G if you’re buying a new mobile broadband package. It is much faster, and even if you can’t presently get 4G it will be future-proof while still providing 3G access right now. Can I get unlimited mobile broadband? At present there are no mobile broadband packages with unlimited data. How do I find the best mobile broadband deal? Always start with a coverage check to determine which network has the strongest signal in the areas where the service will be used. Once you know which network is best for you, use the filters on our comparison table to select or exclude particular features to narrow down the options. The table can then be sorted to quickly find your ideal package. What should I look for when comparing mobile internet offers? This is the up-front cost. Contracts are often free, however there are packages which require you to pay for the dongle, usually because it’s a rolling monthly deal or the dongle is a more advanced model. The price of a PAYG deal will vary depending on the type of dongle you want (Wi-Fi dongles are pricier) and how much data allowance is included to get you started. On contract deals this is how much you’ll pay every month for the service - provided you stay within the data usage limits. The period you’ll be tied to a network. 24 and 18 months are very common though there are still 12 month contracts available, and you’ll also find rolling monthly deals. The advantage of these is that unlike the longer agreements you can stop the service without paying a hefty cancellation fee. However, longer contracts generally offer better value for money in terms of monthly data allowance. Network congestion. If the network is busy in your area speed will drop off. Distance from the cell mast. Thick walls in your home or tall buildings nearby blocking the signal. The network’s infrastructure. Some networks, such as Three, have focused specifically on improving mobile data speeds. Contract mobile broadband has a monthly data usage cap. If you go over this you may be hit with additional charges or restrictions on your service. For PAYG users, it will simply be a case of topping up with more data when it runs out, but take note of the top-up costs listed in our tables (PAYG dongle deals do include some data to get you started, too).